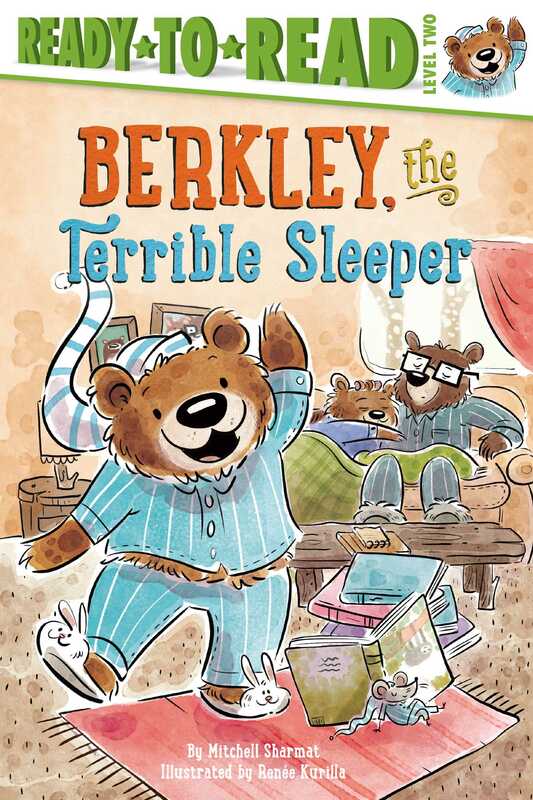 Acclaimed author Mitchell Sharmat shares the story of a little bear named Berkley who doesn’t want to sleep for the winter in this adorable Level 2 Ready-to-Read. Every night, Berkley Bear has trouble falling asleep. And every night, Momma and Poppa Bear try anything they can think of to help—from classical music to sleepy storybooks—but nothing works. He just isn’t tired! What will Berkley’s parents do if he is still wide awake when winter comes? Most bears hibernate, but Berkley isn’t most bears…and he plays games, draws, and dances all winter long. Then one day, he figures out his own way to finally fall asleep! Mitchell Sharmat, a graduate of Harvard University, has written numerous picture books, easy readers, and novels, and was a contributor to many textbook reading programs. He was best known for the classic Gregory, the Terrible Eater, which was a Reading Rainbow Feature Selection and a New York Times Critics’ Pick. In Mitchell’s honor, The Sharmat Collection displaying the books he wrote, was established at the Harvard Graduate School of Education by the Monroe C. Gutman Library.